If you visit Meadowood’s 131 acre campus, you will most likely see a man pushing a wheelbarrow, examining a tree, or sitting on a tree stump on one of the wooded trails taking notes. This man is our own Paul Felton! 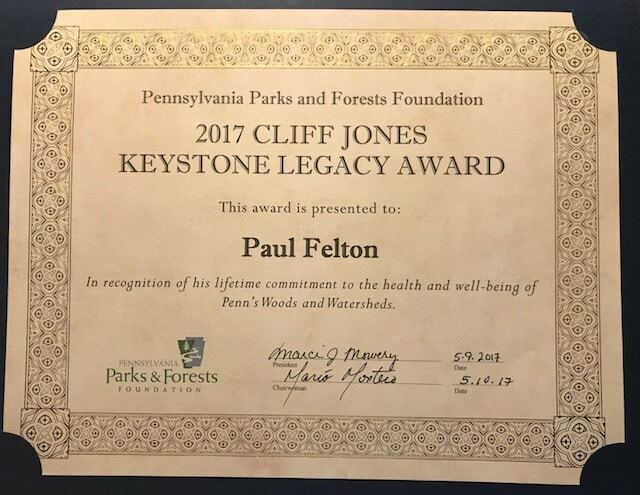 Paul recently received the Cliff Jones Keystone Legacy Award from the Pennsylvania Parks and Forests Foundation. Paul’s interest in the outdoors began at a young age when coal fumes were making his hometown residents ill. His father moved the family to the Poconos, and being raised in the woods, Paul knew at age 12 that he wanted to be a forester. 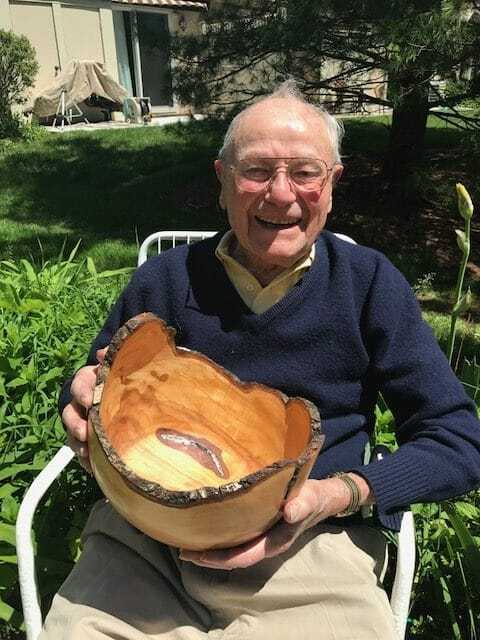 He later studied forestry at Penn State and graduated with honors in 1942, and has lived his passion ever since! 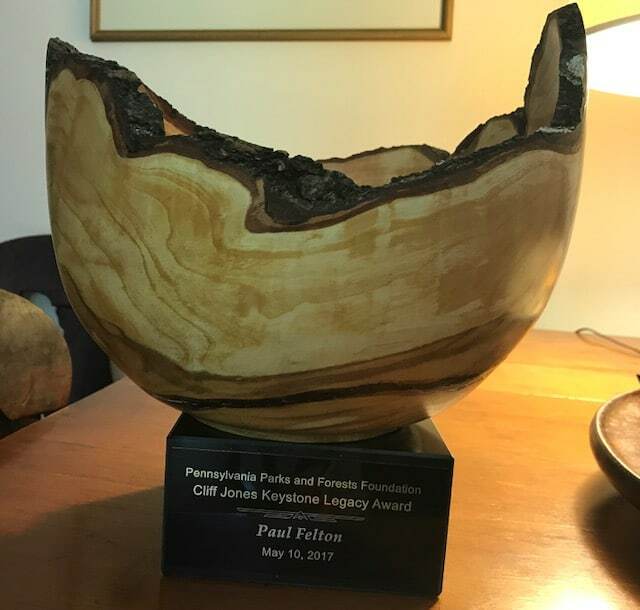 Paul’s professional career included time in Washington as a Timber Management Forester, Virginia as a Photogrammetrical Engineer, Pennsylvania at the Pennsylvania Department of Forests and Waters (now DCNR) and the William Penn Forest District and Valley Forge Forest District. After that, he worked at the Division of State Parks. Retirement didn’t mean slowing down for Paul. He became a consulting forester and natural resources consultant for over 12 years. Meadowood is honored to have Paul as a resident. We have benefited from his expertise and passion for over twenty years. He has served as the Chairman of the Woods and Trails Committee, Field Liason for our wellness walks, wrote the timber management plan for the community and led the efforts to successfully plant 600 trees around the campus. Congratulations and thank you Paul! Paul displays his award – a burl from a Japanese Plum tree.